I have been on the road for 10 days across Europe and the East coast. Maybe it is because I am getting increasingly cranky, but these product design issues started getting to me… I have written about product management in the past and I wonder what the product managers behind these products/solutions were thinking. 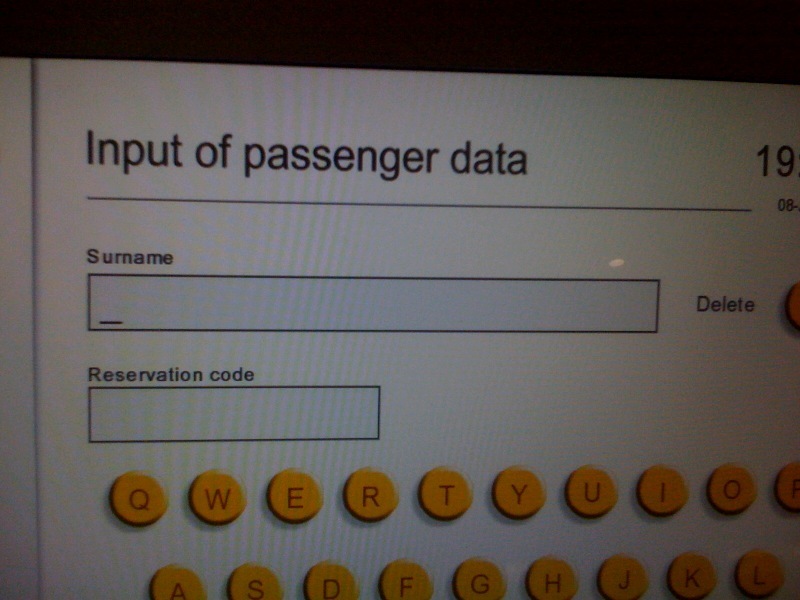 Check-in Kiosk – What’s your Reservation Code??? Really? You really want me to have that handy? When I travel, I know my last name and at best my destination… the reservation code????? Really? The airports in Europe sort the departing time table by time of departure, not by destination like they do here in the US. It is annoying. 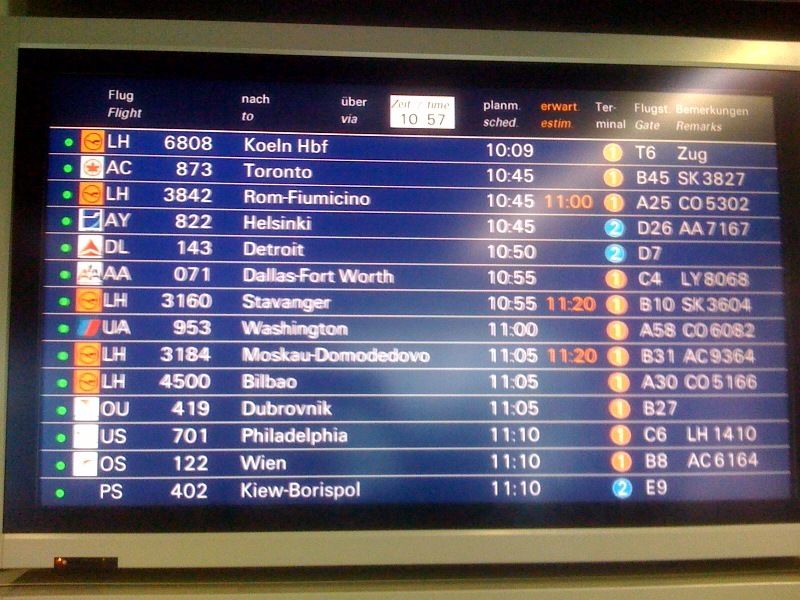 I do know where I am going, and I look at the departure table to figure out WHEN I am going. I don’t really care the the next flight to board is London if I am going to Paris. I just want to look for Pars and see when is the next flight and from which gate. Is it just me??? You should see the amount of people staring at these screens desperately looking for their flights… They should just try both type of sorting, measure the average staring time and figure out which one is better. My money is on destination city sorting. 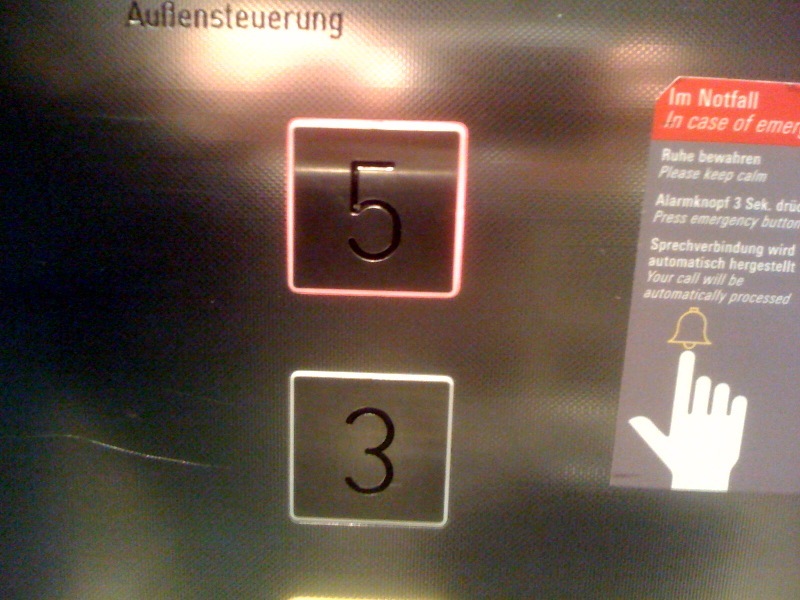 I understand that when the builder installed this elevator the fact that it was servings floor 3 and 5 was very important. I do. But as a user the only thing i care is where is the launge and where is the exit. That’s all I want to know. The fact that they happen to be on the 5th and 3rd floor respectively, not very interesting or useful if those are my only two choice. ← I bought it, I *might need it*, why should I share it? devi viaggiare di Meno Vittorio….